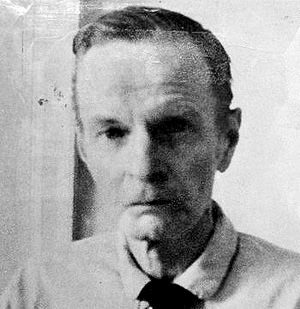 Few writers put their characters through as much human anguish as Cornell Woolrich. Whether his writing takes on this tragic slant because of an unnaturally close relationship with his mother (except for a short time while he lived in Hollywood, until her death Woolrich lived with his mother his entire adult life, in a squalid Harlem hotel room) or some other dark and mysterious reason, we can only guess. Woolrich's writing had enormous appeal to Film Noir directors; more movies were made from his stories than from any other Hard Boiled author. 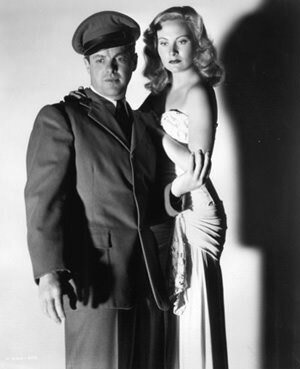 Critics have called Woolrich the fourth greatest Hard Boiled fiction writer of his time, after Dashiell Hammett, Raymond Chandler and Erle Stanley Gardner. Unlike the other Hard Boiled authors, Woolrich did not start by writing for the pulp magazines like The Black Mask. He was already a successful novelist whose early stories were Jazz Age Romances inspired by the works of F. Scott Fitzgerald. Woolrich's characters are rarely ones we would admire. Despite their depravity, we find ourselves sympathetic to the torment they face as fate draws them closer and closer to tragedy. He took delight in showing how his characters reacted to dire situations over which they had no control. They may have witnessed a murder, they may be the inevitable victim of a murderer, or they may have even committed the murder. This type of story was a natural for adaptation to Suspense!, and we have 23 episodes in the collection. One of the favorites features Lucille Ball in "Dime A Dance"; our heroine makes her living as a Taxi Dancer who is the target of a serial killer. Molle Mystery Theater, Escape!, and Peter Lorre's Mystery Playhouse also used Woolrich stories on a number of occasions. The films "Phantom Lady" and "Deadline at Dawn" are also presented in their Lux Radio Theater adaptations. Be the first to comment on "Cornell Woolrich"